This is the first thing you tell people when they ask what you sell. Once you communicate the features, you need to emphasize the benefits to those features. What does the customer get out of your product or service? Nobody wants to be the first person to buy from you. With the iPhone and other Apple products, the social proof is in the term fanboy, people with Apple tattoos, and the fact that they’ve sold 73.5 million iPhones worldwide. How do you demonstrate social proof? Testimonials, lists of well-known clients, press logos, social sharing stats. This is the only reason I haven’t bought an iPhone yet. I have a phone and it works just fine. I don’t need an iPhone. And until I need one, I’m not going to buy one. Verizon can continue to send me their $50 coupons that expire at the end of the month, but I’m crafty enough to know that I can get that $50 discount whenever I want if I just ask. If Apple communicated the costs of not having an iPhone, I’d be more likely to finally buy one. How do you instill a sense of urgency? Limited-time offers, communicating immediate benefits and costs of procrastinating. Once you’ve told them about the features and benefits, demonstrated social proof, and instilled a sense of urgency, it’s time to disclose the price. The reason you reveal those things first is so they don’t get distracted by the price before they realize how much they need what you’re selling. On Apple’s main iPhone page, they don’t even tell you the price. But once you dig into the features and craftily integrated benefits, they reveal the $199 price tag at the bottom of the page. If you guarantee that your product or service will deliver the benefits you promise and those benefits outweigh the costs, they have no reason not to purchase. Read that again and think about it for a second. Ok, continue. This is the kicker that’s hard to offer but it’ll push most customers off the fence. And you’ll find that most people won’t take advantage of your guarantee, so it’s ultimately worth it. Apple’s guarantee is their brand’s commitment to create such a fine product that it won’t disappoint or break in the first place. What are good guarantees? 60-day money back guarantee (better than 30-day because people forget); if you don’t recoup your costs, I’ll reimburse you. The final thing your customer needs to know is how they can buy from you. Give them a call to action. Ask them to buy. Otherwise, they’ll just move on, especially if the purchasing process is unnecessarily complicated. On Apple’s site, the “Buy iPhone” button is prominently displayed in the menu and again in the bottom-right corner of the page. So Where do You Put These Things? Sales pages, sales pitches, on a t-shirt, and anywhere else you’re hoping to sell something. So which one do you think is the most important?. I agree with the above points, How I wish I have gotten some months ago.Keep it up. Yeah, there’s lots of things I wish I would’ve known. Part of the reason I wrote this was as a reference for myself. I’ve learned this things from a number of sites and every time I need this info, I can’t find those sites. So here it is, for all to enjoy! Great article! I agree with all your 7 consumer needs. I think the hardest and the most important one is the “Sense of Urgency.” Molly and I can basically meet the 6/7 needs no problem but convincing someone that they need your product now is tough. I know, Katie. I can think of lots of things that I’d like to buy, I just don’t need them yet. And it’s a shame that so many internet marketers create artificial urgency through seemingly limited time offers. I think it makes it harder for the ones who can’t bring themselves to do that. By the way, have you not set up your Gravatar yet? Don’t discount Android, Daniel. 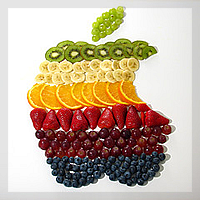 I used Apple and the iPhone in this post because of Apple’s brand and because I found that cool image ;). But Android-powered phones typically has better specs and are a lot cheaper. I’ll change that to an iPad or iPod touch which has wifi. What’s the point of 3G or 4G when you don’t go anywhere. I already have wifi at home. And the reason I don’t give Android much thought is because I don’t have any digital form of money that I can use to download apps and music. The thing with Apple is that it has iTunes gift cards. So I can download Nicki Minaj’s new hits. your Business growth is fantastic!! i Appreciate you man!! I appreciate you taking the time to leave a comment, Neena! I am totally agree with all the point which are mentioned above. And Thanks to increase my knowledge. You’re welcome, Asad! Was there anything that I pointed out that you hadn’t thought of before? Yeah…Sense of Urgency was the new point for me…Thanks. And Keep it Up Man. Write more more and more Articles related to Business Field. Workin’ on it, Asad! I appreciate your support. Sure thing, Tanya! How did it help? Ithink of many big markets and yes, they all use all 7 of these tips to get their money. Asos comes to mind. This article is hugely helpful and very interesting. Well done again Nick! Still trying to drag myself out of this site, too avail yet.